Vegetarian food doesn’t have to be bland. 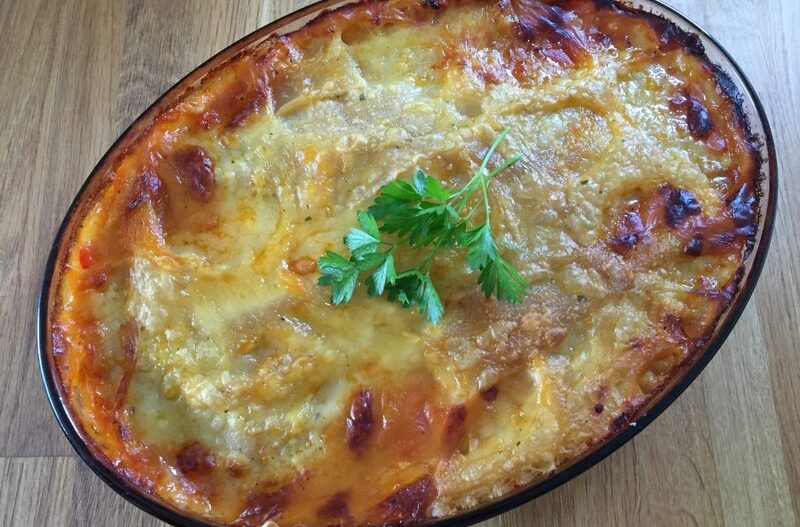 My lentil lasagne is anything but. Fry one large onion and two crushed garlic cloves until soft and brown, add two grated carrots, one grated courgette, one grated sweet potato and stir. Add 250g of washed red split lentils and slowly add a pint of vegetable stock. Add more water if needed to keep the consistency wet but not runny. Leave to simmer whilst you make a white sauce. Heat the oven to 180 C, gas mark 4 and heat a large baking dish. Add a layer of the lentil mix to the dish, followed by a layer of the lasagne sheets and spread the white sauce over the top of the sheets, then repeat the process again. Grate cheese on the top (or lay tofu slices on the top if you are making a vegan version as I do) and put in the oven for 40 Min’s or until golden brown. Serve with a side salad and enjoy. 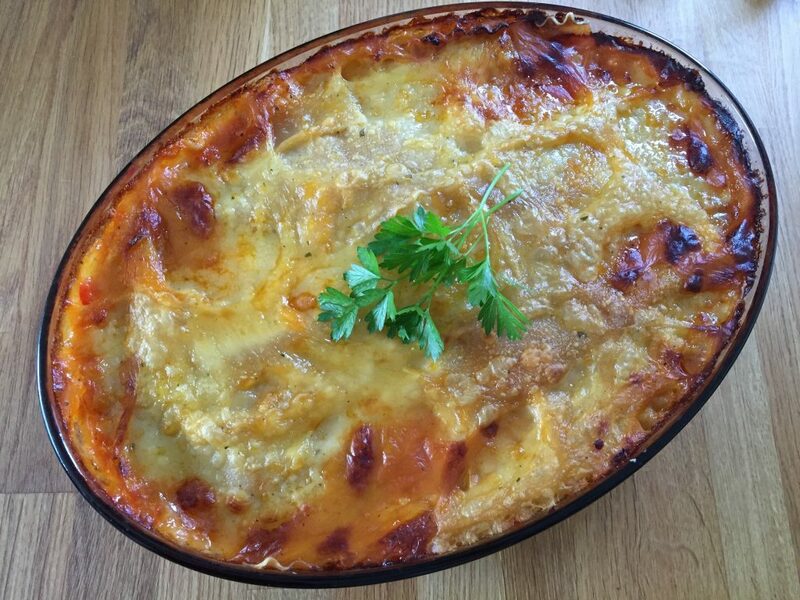 I use gluten free lasagne sheets & gluten free flour & rice milk to make a vegan gluten free sauce.